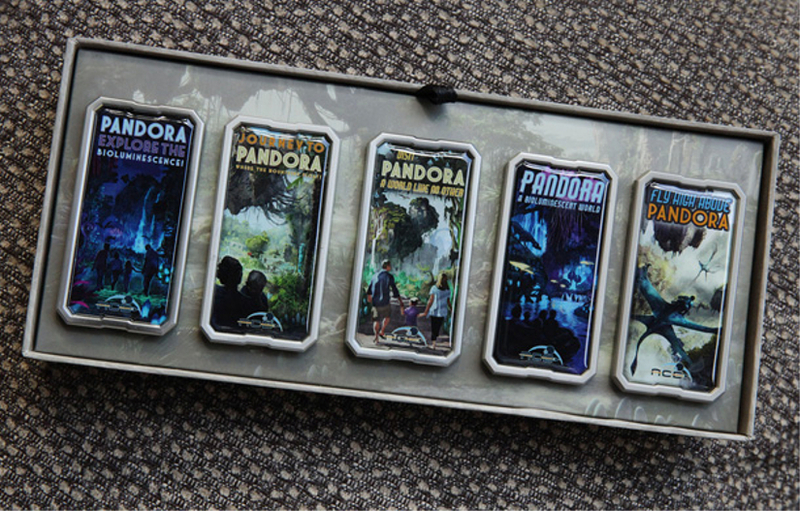 Discovery Trading Company (the store located on Discovery Island at Disney's Animal Kingdom) will be selling the first in a series of limited-edition Pandora - The World of Avatar pins starting from today (March 2). Each individual pin will have an edition size of 1,250. Guests may purchase up to two limited edition pins, per style, per release. The second countdown pin will be released on April 6, and the final pin in the set will be released on May 4. Pins at each release are first-come, first-served. The store opened at 8:30 a.m. today for Guests interested in purchasing the pins, and the queue was set up near Riverside Depot. The pins are not available via Shop Disney Parks app or the Disney Parks online store.